What an awesome start to the last day of the drive! Thanks to Ruins for lunch and thanks to YOU for your support! 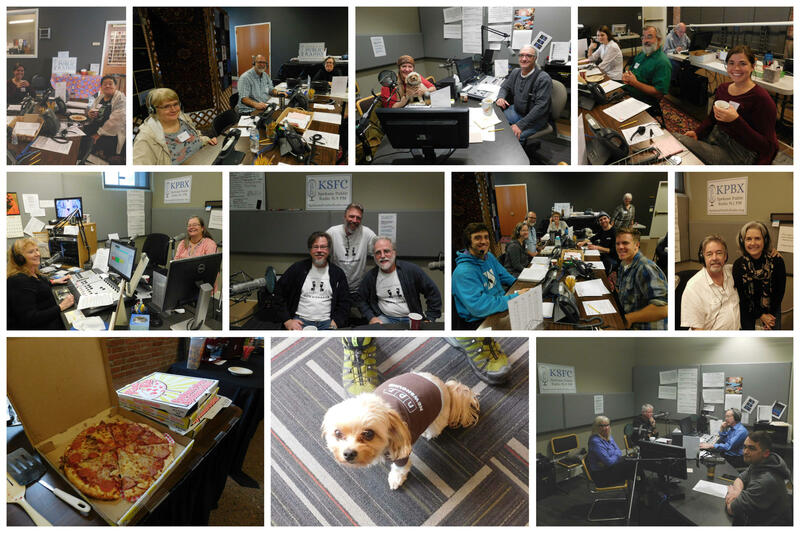 Tuesday afternoon's volunteers were fueled by Pizza Rita as the pledges kept on coming in. Tuesday morning was a bit of a stretch, but we made it! Verne found some excellent music to pledge to and Garland Sandwich Shoppe donated lunch. Yum! Monday afternoon was a great day to reconnect with friends we haven't seen for six months. Thanks to Taste Cafe and Taste of India for the delicious feasts! 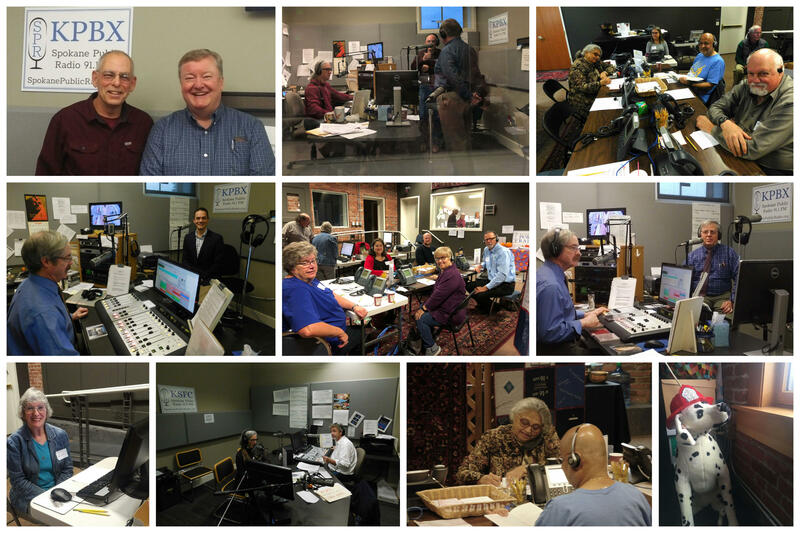 Monday morning and our pledge drive volunteers are hard at work! 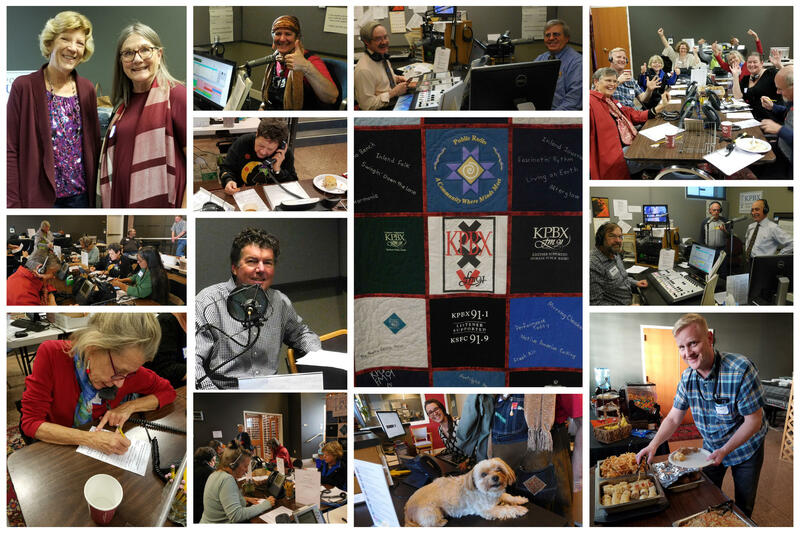 So many smiling faces, so much fun on the air and off! 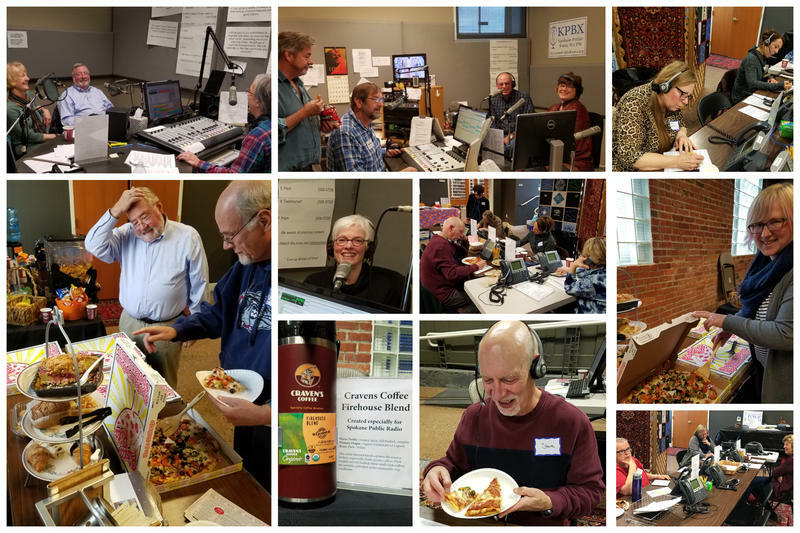 Pledge Drive Sunday! 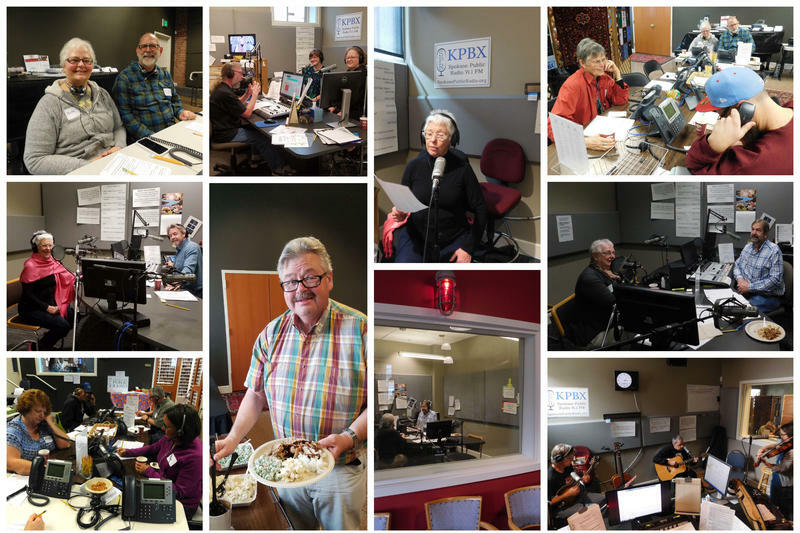 We had live in-studio performances during the Folk Block, lunch from Aloha Island Grill and so many wonderful volunteers! 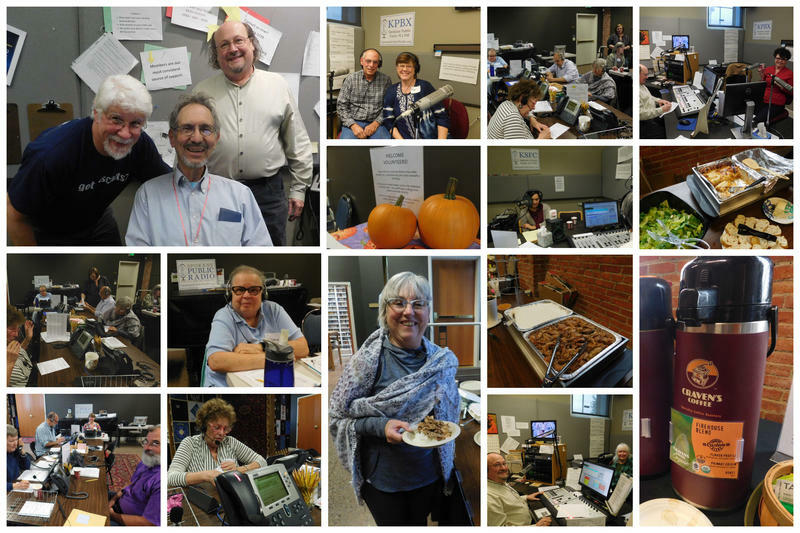 Day three of the 2018 Fall Pledge drive we had lots of great volunteers, pizza from Pizza Rita and even a visit from our resident NPR Newshoud, Itsy! The Friday afternoon pledge drive team had lunch from Fery's Catering and dinner from Aloha Island Grill to keep them going. And of course, Cravens Coffee Company all day long. 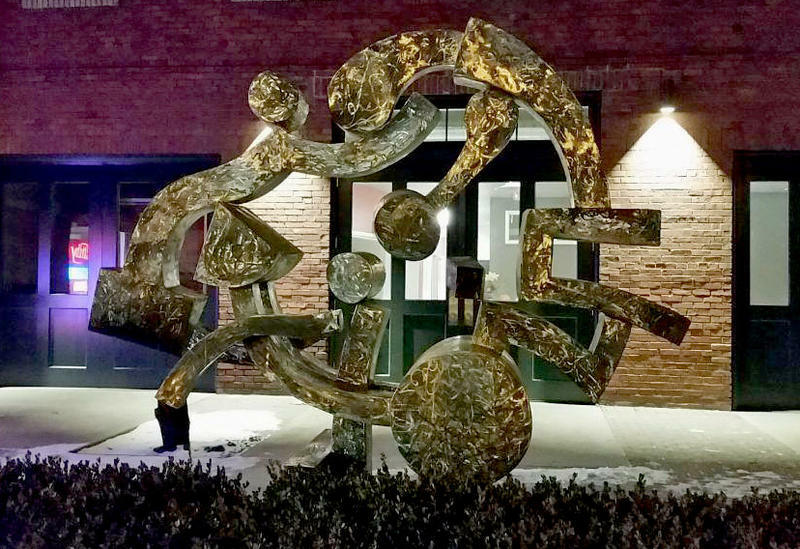 Thank you volunteers and donors! 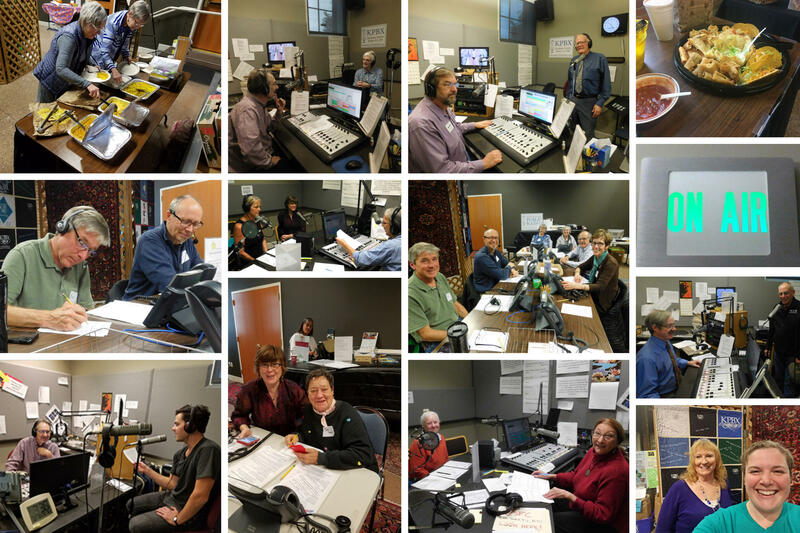 Day two of the fall pledge drive got off to a great start! Thank you to all our wonderful Friday morning volunteers! 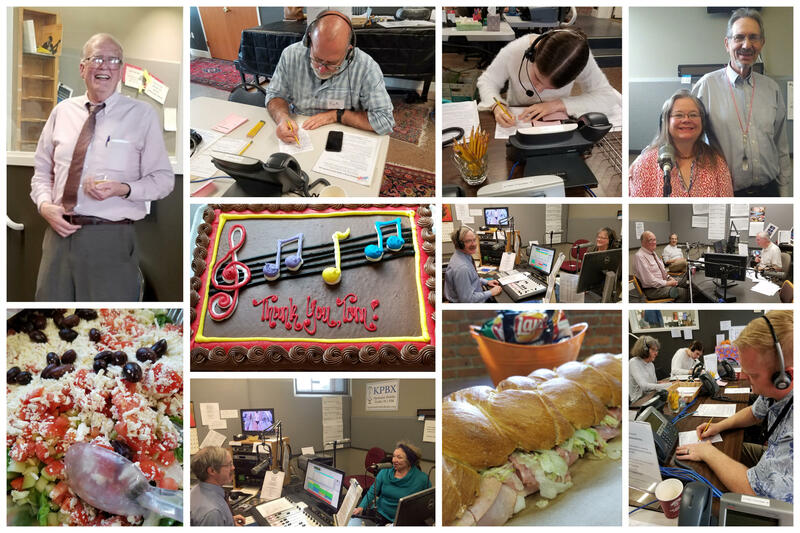 Thursday afternoon we celebrated Tom Bacon's retirement during a few quiet moments. Thanks to Sub Division for lunch and Azar's for dinner! 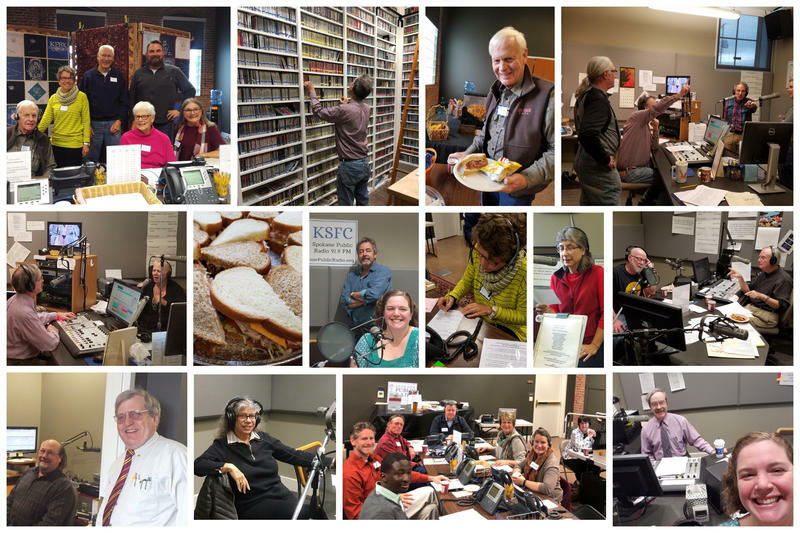 We kicked off the drive bright and early Thursday morning thanks to Cravens Coffee Rosauer's, and The Grain Shed. That's a wrap! Thank you to all for making this drive a success. We finished the drive early, so we got to enjoy our dinners from Ho Ho Teriyaki even more! Click the photo to open the slideshow. 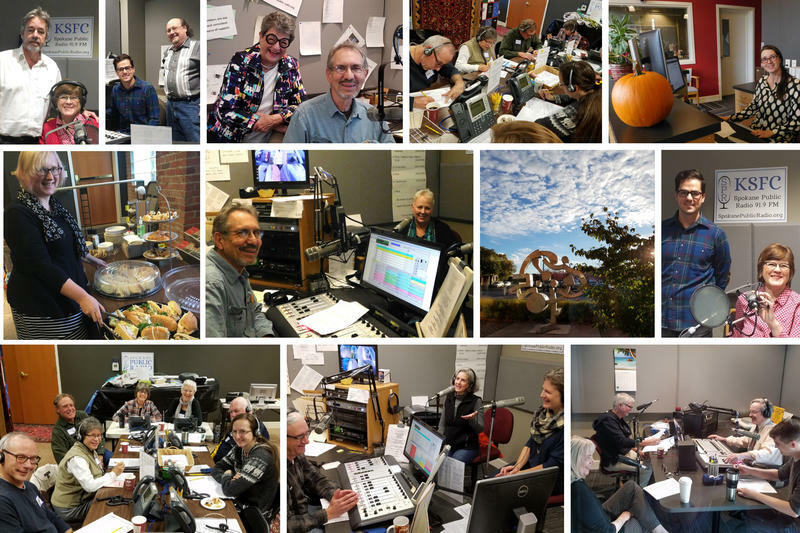 The fall 2018 pledge drive is under way! 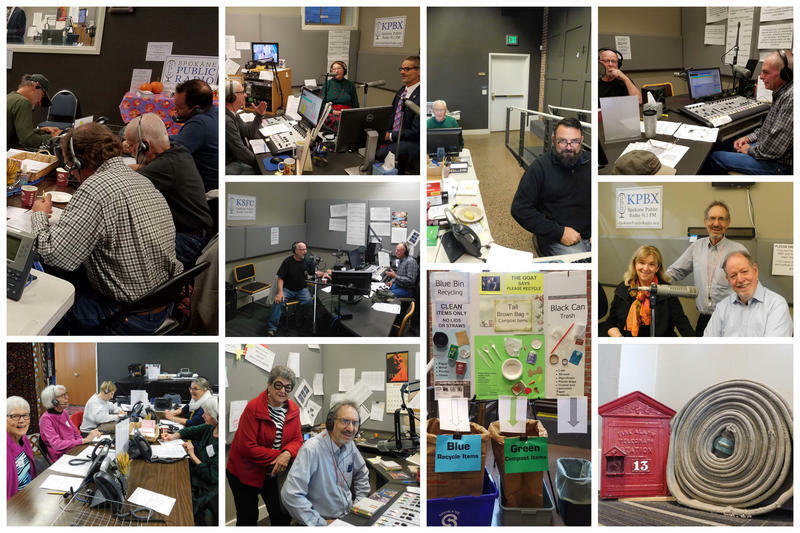 Here's a peek behind the scenes from the studios of Spokane Public Radio. 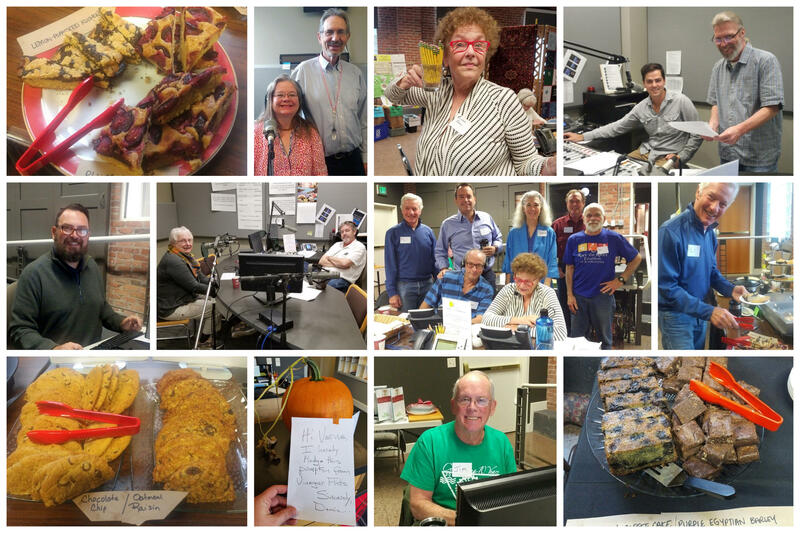 If you haven't already, take a moment to make a pledge after you check out these photo collages. Thank you for your support! 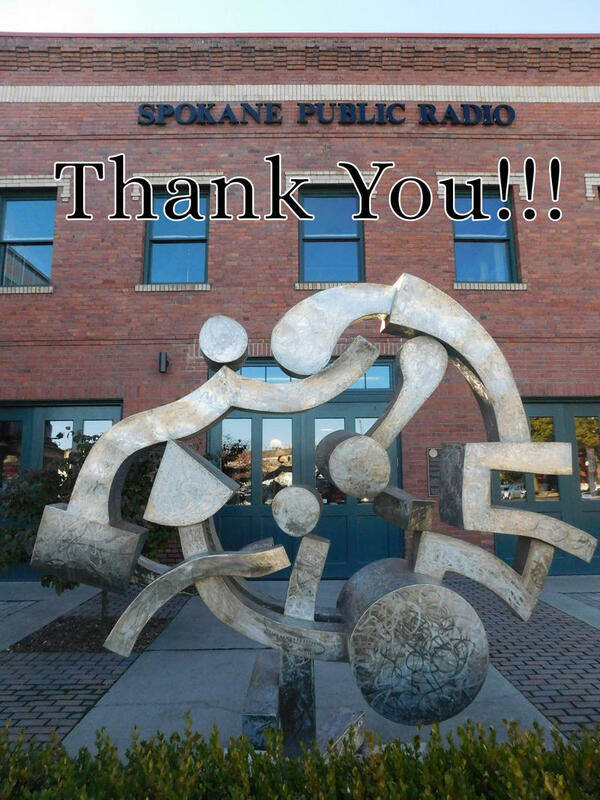 We love to hear what our listeners have to say about Spokane Public Radio's programs, events, and everything else. In fact, we love it so much that we've created a dedicated phone line just for you to share your stories, concerns, and appreciation. Just call (509) 232-6904 and leave a message. It's easy, quick, and helps us know more about how our listeners feel. We may even use your comments on the air!